My boss at the farmer’s market recently started to sell red lentils and they are a hit! 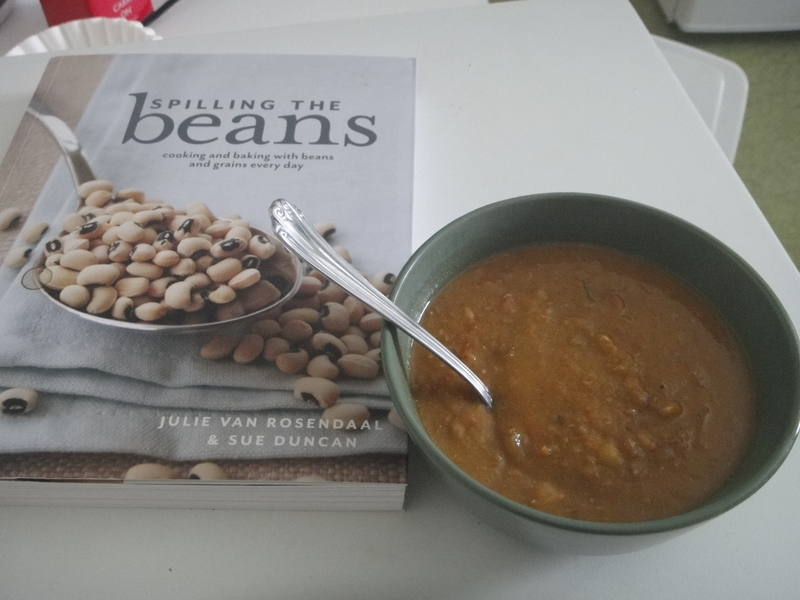 I decided it was high time I busted out Julie Van Rosendaal‘s Spilling the Beans another time for a new tasty adventure! The original recipe incorporated steel cut oats into the soup at the end. I thought that may be a little too adventurous for my palate, so I stuck to the tasty tomatoes and lentils. 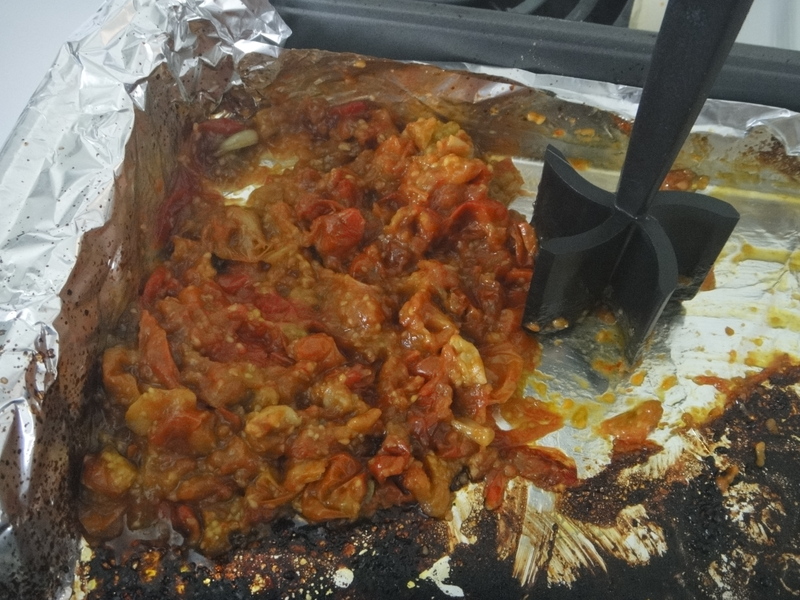 First things first, I laid out what was left of my garden tomatoes on a baking sheet lined with tinfoil. 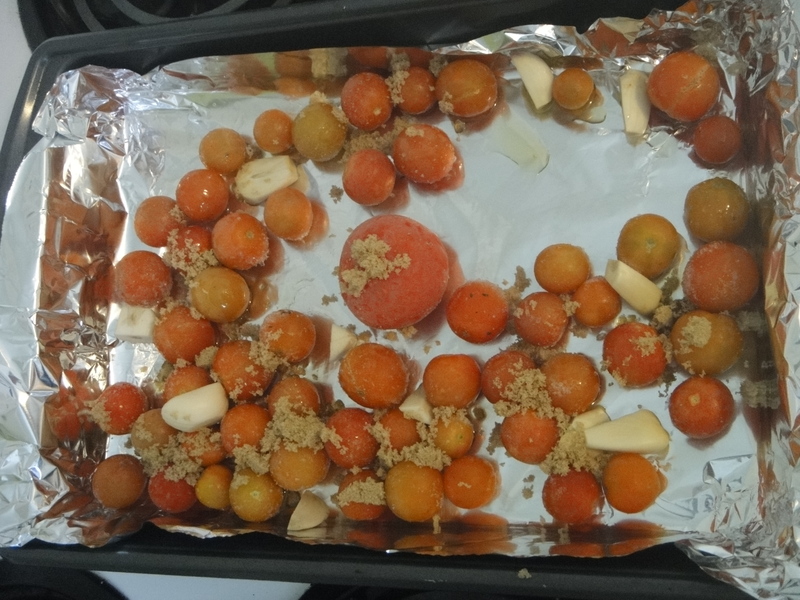 Next, I sprinkled the tomatoes with a little olive oil and brown sugar and threw in some whole garlic cloves. 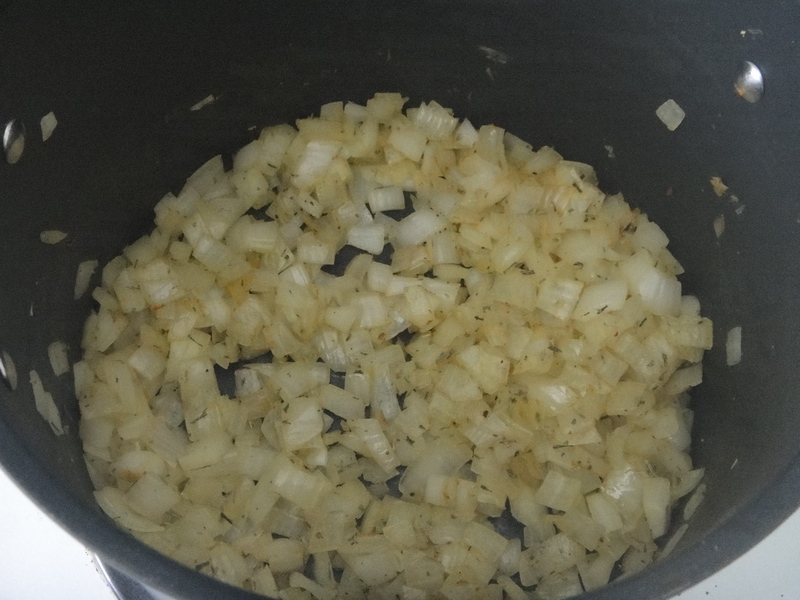 While the tomatoes were roasting, I cooked down some onions. 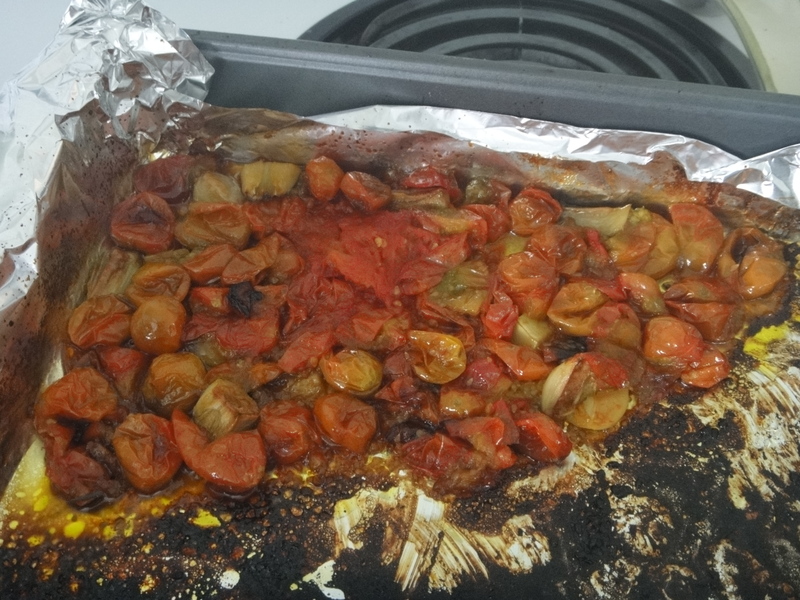 Here are the tomatoes, all roasty. I used my handy masher to break them down. Here they are! 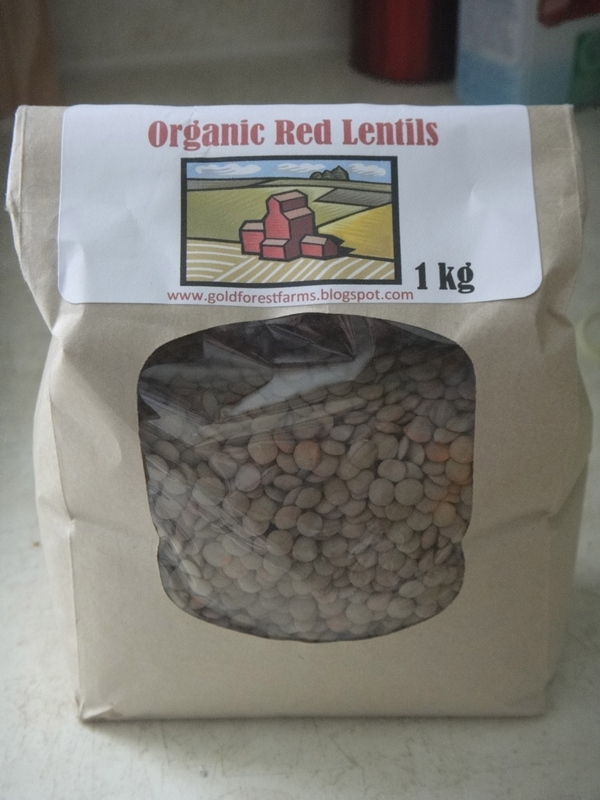 Organic Red Lentils from Gold Forest Grains. Delicious! Here are my onions, all cooked down. I apologize, I forgot to take another picture of the soup after it had been simmering. 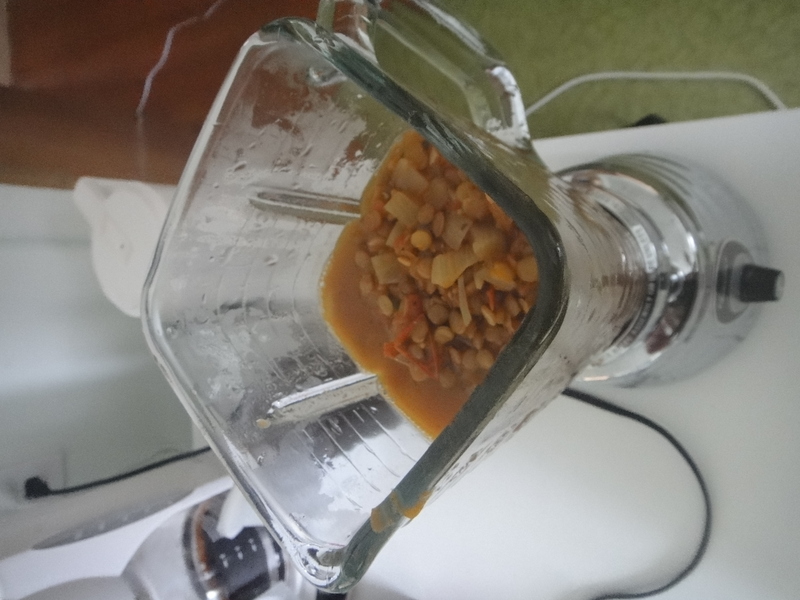 Here’s the soup in the blender. You can keep it as is or blend it up a bit. The soup’s texture was nice after I blended half of the soup, then added it back into the pot. Here it is, all ready to be enjoyed! Preheat oven to 425. Line baking sheet with tinfoil. 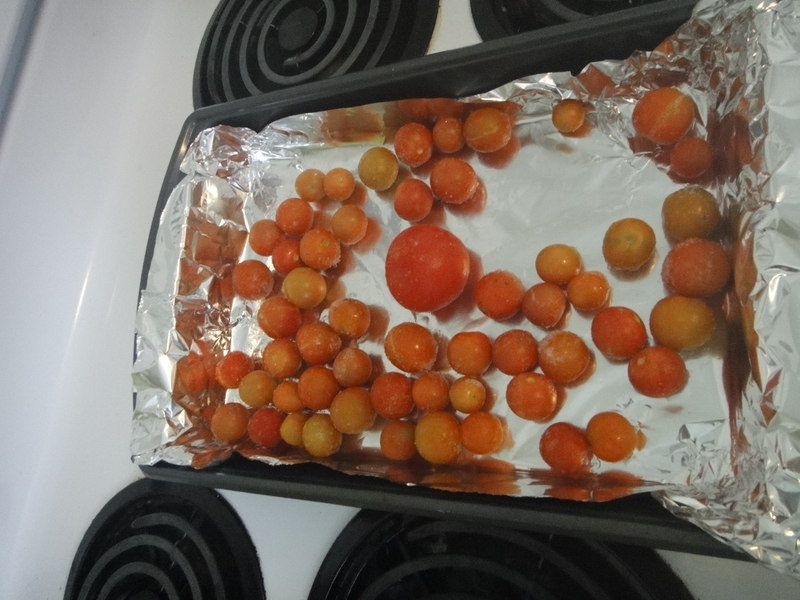 Arrange tomatoes in single layer on baking sheet. Drizzle with oil and sprinkle with sugar and season. Roast for 30 minutes. Add whole garlic cloves and continue to roast until there are some blackened edges, and the garlic is soft. Remove from oven and cool slightly. When cool, mash roasted tomatoes and garlic together. 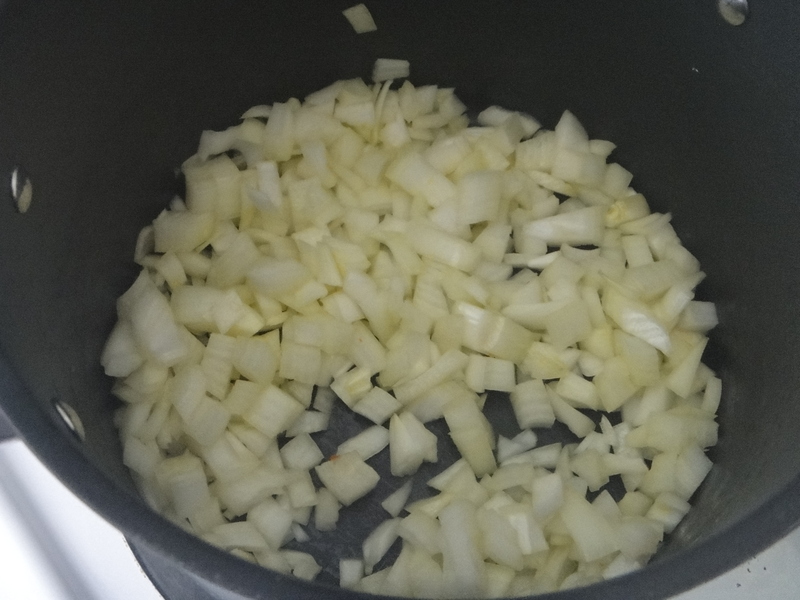 In a large pot, brown onions with oil until cooked down. Add stock, tomato paste or sauce, lentils, herbs and roasted tomatoes. Stir well and let it come to a simmer. Cook until lentils and tender. If you like a smoother texture, blend with immersion blender, or add half to a blender then add back to pot. Serve and enjoy!